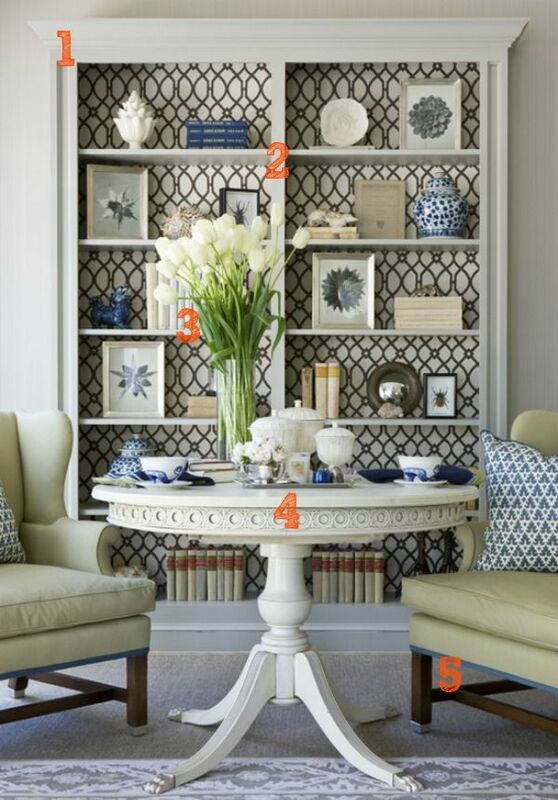 It’s no secret that shelving has been on my brain, lately. While I chose to keep my shelving behind closed doors in my new studio , I can appreciate a gorgeously styled, open shelf when I see one. So I was drawn to this sophisticated reading/dining nook by designer Marika Meyer, featured at Georgica Pond. I had to see if I could find some DIY tips out there for recreating some of the elements of this pretty nook.